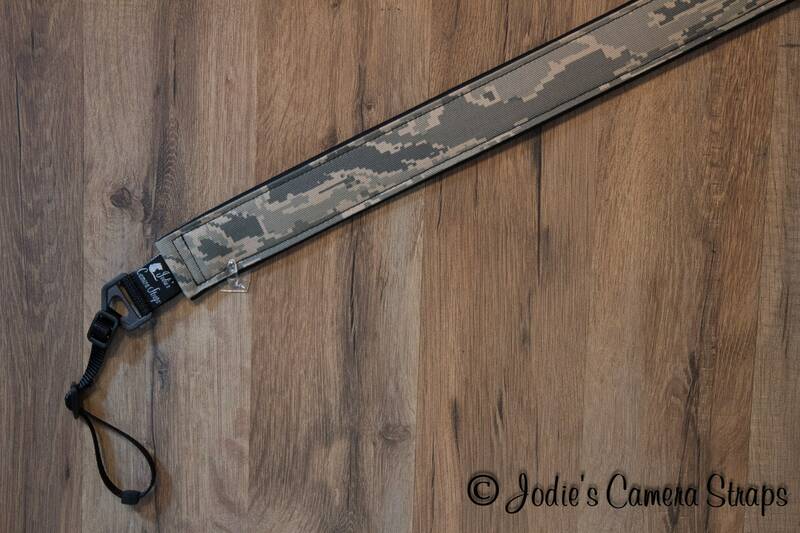 This great looking camera strap is the Air Force ABU camouflage pattern. Padded area is 27 in. 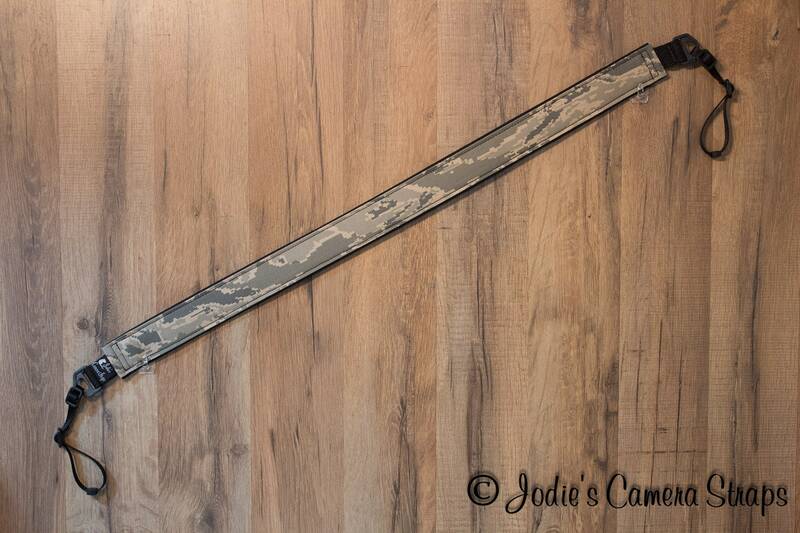 long - total strap 45 inches maximum length.